If anyone has suggestions for other papers, please do let me know, via comments if possible so that others can also see them. It’s not intended to be an exhaustive list or a full literature review, just a list of some articles/books/reports which have been helpful to me in learning more about the Troubled Families Programme, where it came from and the model of ‘family intervention’ on which it is based. If there’s enough good suggestions, I’ll update it at some point in the future. Has the Troubled Families Programme itself been ‘turned around’? The government claims to have reached its target of starting to help 120,000 troubled families nine months earlier than planned. We are committing £448 million to turning around the lives of 120,000 troubled families by the end of this Parliament. In 2012, DCLG and DWP each introduced separate programmes to help these families. DCLG’s Troubled Families programme, with a central government budget of £448 million, aims to ‘turn around’ all 120,000 families by May 2015. We welcome the commitment shown by all those involved in the DCLG’s programme to achieve lasting improvement in the lives of 120,000 troubled families by May 2015. The target set requires each of the 152 local authorities in England to identify and then “turn around” families that meet the definition of a troubled family (p5, emphases added). So, there is nothing in the reports that suggest that the target has changed and there has been no official announcement about a change of target. The article in The Guardian is also all the more surprising given that the paper has often been gently critical of the TFP and, in June of this year, they published an article which was highly critical of the potential of the programme to reach the target. The Communities Secretary on Wednesday (29 October 2014) welcomed the latest success of the scheme, which has now succeeded in reaching almost all of the hardest to help homes in the country that the Prime Minister pledged to help (emphases added). 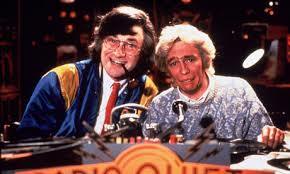 The amount of positive spin being placed on this programme shouldn’t surprise us. I blogged earlier this year that the Prime Minister had too much political capital invested in the scheme to allow it to be viewed as a failure and we should remember that ‘troubled families’ were a ‘problem’ created and constructed by this government precisely because they believed that they could solve the ‘problem’. There have been numerous misrepresentations of data and figures both in the construction of the perceived problem and, now, in the extent of the government’s success in solving it. This is merely the latest in a long line of misinformation which plays a core part of this ‘policy racket’ and which, unfortunately, on this occasion, has been swallowed by two respected national newspapers. David Cameron was adamant that the riots of 2011 had nothing whatsoever to do with poverty. They were about ‘behaviour’ and a ‘twisted moral code’. When he launched the Troubled Families Programme a couple of months later, the word ‘poverty’ got one mention and it wasn’t in relation to the aims of the programme. But then, the person who Cameron appointed to lead the Troubled Families Programme last month proclaimed that she spends ‘her entire life’ telling people that we don’t have to accept that ‘the poor will always be with us’. One doesn’t need to look far for evidence of this commitment to anti-poverty work. Given the strategically agnotological approach to poverty and its impact on people’s lives in the Troubled Families Programme, it is interesting that Casey believes her ‘entire life’ is spent trying to do something about poverty. Although, of course, Casey didn’t talk about poverty – she talked about ‘the poor’ which is something entirely different….. In summary, it is difficult to find any evidence that Louise Casey spends – or has spent – any of her working life doing anything about poverty. In fact, one could mount a fairly strong argument that her current efforts in paid employment have actually ignored or, even worse, concealed, the impact that poverty can have on people’s lives and have generally been very unhelpful to people living on low incomes in the way that she has talked about many of them. In today’s budget, it was announced that the Troubled Families Programme would be ‘accelerated’ and ‘expanding early to start working with up to 40,000 additional families in 2014-15’. The Guardian reported that this was a ’ministerial vote of confidence for the scheme’ although I would argue that this is a fairly uncritical reading of the situation. 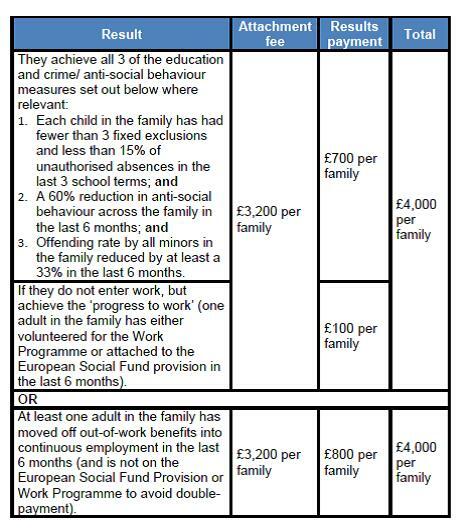 Louise Casey’s report ‘Listening to Troubled Families’ does not include the words ‘poverty’ or unemployment’ once. The approach to addressing the problems that these families face is one that works ‘from inside out rather than outside in’ (p26 of the DCLG report ‘Working with Troubled Families’). The Guardian argued that ‘successful local councils will be entitled to bid’ for extra money relating to the acceleration of the programme, whilst one local authority issued a press release celebrating the fact that they had ‘smashed’ the ‘national target’ for ‘troubled families’ and, as a result, had ‘been awarded £475,500 in ‘success money’. The reason for my scepticism about this ‘acceleration’ being a reward for success or a vote of confidence hinges on the magic number of 120,000 families. Ruth Levitas recently argued that the original ‘estimate’ of 120,000 families is now being ‘treated as a target’ and I wrote recently about the ‘numbers game’ in the TFP, where I argued that the primary concern with the programme appeared to be achieving the Prime Ministers ‘clear ambition’ of ‘turning round’ the lives of 120,000 ‘troubled families’ within the lifetime of this Parliament. What does ‘turning around’ a ‘troubled family’ really mean? Last week DCLG announced that ‘The Troubled Families scheme has turned around the lives of 14,000 of England’s toughest to tackle households in just 15 months’. Eric Pickles suggested that this number was ‘phenomenal’ and ‘a huge achievement to have turned so many around in such a short space of time.’ So, great news all round then. But does it all sound a bit too good to be true? Most press coverage that I have seen repeats the phrase ‘turning around’ without examining or explaining exactly what it means, so that is what this post is about. The 14,000 number comes from figures released last week which show that, across England, local authorities have claimed the performance-by-results payment from DCLG for certain outcomes achieved by this number of families. In total, nearly 50,000 ‘troubled families’ have been worked with, but only 14,000 have so far achieved the outcomes required for the ‘incentive’ payment. The table below (taken from p9 of the TFP Financial Framework) shows what outcomes are required for local authorities to claim for the result based payment. You will note that none of the criteria in the table relate to housing, qualifications, maternal mental health, disability/illness, income (being in work doesn’t always guarantee you a higher income – think zero hours contracts) or deprivation. (See Ruth Levitas’ paper ‘There may be trouble ahead’ for a full discussion on what this ‘discursive shift’ means). Clicking on the table should open it in a larger format. What is interesting is that local authorities can – and many have – claim to have ‘turned round’ the life of a ‘troubled family’ if certain aspects of their behaviour changes, even though they may not have found work. In other words, their material circumstances may not have improved and may even have got worse. So, if the TFP is about stopping families behaving badly, that might still seem like a positive result, but if the payment is based on their kids starting to attend school a bit more for a 6 month period or things ‘quieten down’ for a bit, it doesn’t, I would argue, amount to their life being ‘turned around’. Positive, welcome steps, yes. Complete turnaround, no. But it is also possible for a local authority to claim money (£800) if at least one adult in the family moves into continuous employment, without any other behaviour change. So, these families can continue behaving exactly as they have done (it may or may not have been troublesome behaviour) and the government will claim their lives have been turned around, as long as they have ‘moved into continuous employment’ for 6 months. Continuous employment is variously defined as 26 weeks out of 30 (is this continuous – or a possible example of ‘churning’ in and out of employment – a low-pay, no-pay cycle?) or 13 consecutive weeks (3 month temporary contract anyone?) depending on which benefits were originally being claimed. There is a third way of claiming £100, linked to the crime/ASB/education outcomes if an adult in the family ‘progresses towards work’. So, a troubled family’s life can be counted as being ‘turned around’ even if there remains no adult in work in the household or, if one adult does find work, they can commit as much ASB/crime/truancy as they like and the government will still pay out as they’ll be deemed ‘trouble-free’. In fact, looking at the release of the figures, in less than 5% of those families that had been ‘turned around’ did an adult move into ‘continuous employment’. In the North East, it was closer to 2.6%. In Newcastle, the city council ‘turned around’ the lives of 303 families, none of whom found work or achieved the ‘progress to work’ outcome. What would Jim Royle say if he was asked if these families lives had been ‘turned around’? An independent evaluation of the TFP has been commissioned (which may examine control groups or other approaches) but it hasn’t published any findings yet. 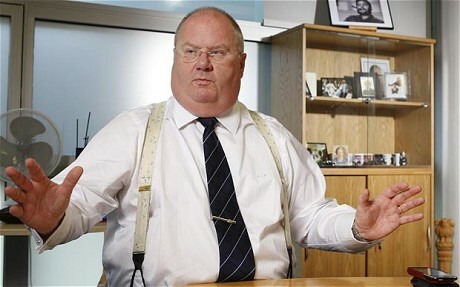 So how can Eric Pickles claim that ‘these figures show that our no-nonsense approach is changing families for the better’? A final problem (for now) is that people’s lives are complex, they are dynamic and much as the government would like to portray these families as a lumpen, static underclass, their circumstances (or behaviours if you want to see it in that way) can and do change over time, as the results suggest. But, such is the ‘burden on the taxpayer’ from these families, the government wants to ‘deliver maximum value for money’ and so they have stated in the TFP Financial Framework that ‘we need to ensure as far as possible, that we don’t pay twice for the same family’ (p10) and the TFP funding is only available for ‘turning around the lives of five out of every six troubled family in each local authority area’ (p11). So, there is no financial incentive if, after receiving payment for turning around a family’s life, a child from that family stops attending school, or ASB incidents start to happen again or if the working adult finds themselves out of work again. If achieving these outcomes count as turning around their lives one must also accept that a lapse or lapses must be devastating and must have serious consequences. All of this raises concerns about PBR and ‘incentivising’ methods in public services, which have been articulated elsewhere but it does mean that public sector bodies will be expected to work with families with serious and multiple disadvantages without the dangling carrot of £700 or £800 at the end of it. Pretty much like they and their workers have been doing for many, many years before the TFP came along – and will still be doing long after it has gone.